WE ALSO OFFER CORPORATE CLASSES, TEAM BUILDING EVENTS, ATHLETE/TEAM TRAINING AND MORE, PLEASE CONTACT US FOR MORE DETAILS. ** MEMBERSHIPS AND CLASS CARDS ARE NON- REFUNDABLE & NON-TRANSFERABLE. Yang Yin Yoga fuses the electricity of flow yoga and the stillness of yin yoga in order to create perfect harmony. In this practice expect to flow vigorously through postures in the first half of class to build heat, strength and energy, then melt into stillness with restorative stretches. The strenuous flow will warm the connective tissues, muscles, and joints in order to prepare them for long restorative stretches during the yin portion of practice. This challenging and dynamic hot flow class links breath with movement. Students can expect very cardiovascular and strength building poses linked with mindful breath, in order to inspire and create change in the body and spirit. Experience strengthening yoga sequences that builds students up to intermediate and advanced posturing. Recommended for those with experience. This slow, deep practice is similar to an internal massage. Perfect for those with any physical limitations, injuries, or students looking to complement a regular vigorous practice. Yin yoga leaves the body and soul euphoric by melting connective tissues and joints, detoxifying internal organs, and transporting the mind to a deep low brain state. This class is suitable for all levels. HIIT stands for High Intensity Interval Training! Take your practice to the next level with our HIIT class. We take the temperature down and the intensity WAY up. Beginning with dynamic stretches, transitioning into a series of short and intense cardio, strength and plyometric intervals, then finishing with a mindful yoga cool down and stretch. This class is a total body workout guaranteed to leave you invigorated. This class is open to all levels as modifications will be given, but expect strength, cardio, weights, and lots of surprises! What do you need? Just your yoga mat and either bare feet or clean running shoes. We will focus on finding mobility and functional movement in our spines and in our bodies. We begin each class by using the spinal strip which is designed to open up the body and let go of tension. We then move into a gentle and functional flow. This class is suitable to all levels and abilities, especially beginners. In this warm vinyasa flow class we turn the heat down to 30-32 degrees and will flow with breath awareness and create strength and vitality. We know that not all yogi’s love the hot-hot-heat, so we’ve designed a flow practice just for you! This warm vinyasa flow is perfect for building strength, playing with more challenging postures, and toning the muscles. This class is a great one to ease into Hot Flow or for those that just don’t like the intense heat. 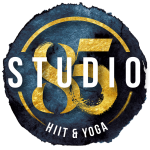 This classic hot vinyasa flow class is designed to strengthen the body and spirit, tone and lengthen muscles, and detoxify the body. You will use the rhythm of your breath to guide movement, build proper body alignment, and clear your mind. This class is open to all levels who enjoy the added heat. This beginner class focuses on alignment, slow structured movement and breath awareness. Students should expect a similar sequence from class to class that helps to strengthen the spine and core, detoxify the body, and heal injuries. This is a beginner class open to all levels. In this vinyasa flow class, we turn down the heat and turn up the intensity. The focus is on strengthening all areas of the core (the abdomen, back, buttocks, upper hamstrings and hip flexors). Warm core classes offer up that slow, deep, burn and is designed to recruit your deep core and stabilizing muscles highlighting your inner fire and intrinsic strength. This class is suitable for all levels but experience is recommended.